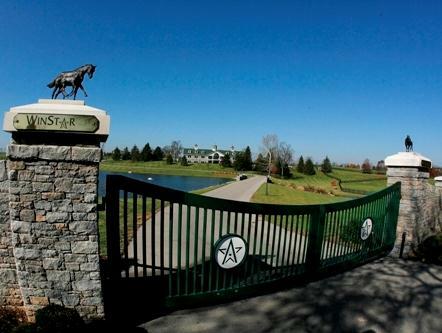 After winning a pair of Triple Crown races and sitting atop the owner standings with more than $5.1 million in earnings, besting this year will be quite a challenge for WinStar Farm. But if 2010 was the year of the 3-year-old for WinStar, 2011 may just be the year of the older horse. The powerful Versailles, Ky., farm is bringing back a quartet of classy older horses next year—Drosselmeyer, Endorsement, Rule, and Well Armed—all of them coming off of injuries. But WinStar racing manger Elliott Walden is excited about all of them as they prepare to embark on their 2011 campaigns. Of course, homebred Super Saver got the year rolling for WinStar with his Kentucky Derby Presented by Yum! Brands (gr. I) victory in May. Five weeks later Drosselmeyer gave them another Triple Crown score with a 13-1 upset in the Belmont Stakes (gr. I). But before the son of Distorted Humor could make another start he was sidelined by an ankle injury, one that required minor surgery to remove a chip. Drosselmeyer came back to WinStar for rest and returned to training in September. He’s been galloping for about 60 days and was sent to trainer Bill Mott at Payson Park Training Center in Florida last week. On the same day Drosselmeyer was sent to Florida, Endorsement was shipped to New Mexico to resume training with Shannon Ritter. Also by Distorted Humor, Endorsement burst onto the Triple Crown trail with his convincing win in the March 28 Sunland Derby (gr. III) and was preparing for a run at the roses when he was injured on Derby week. The chestnut colt suffered a non-displaced right condylar fracture after breezing at Churchill Downs four days before the big race. After surgery Endorsement was sent back to WinStar for recovery. He resumed training in September and was galloping by October. Another 3-year-old on the comeback is homebred Rule. The Delta Jackpot (gr. III) and Sam F. Davis (gr. III) winner was also on the Derby trail until being taken out of consideration in late April. There was reportedly nothing physically wrong with the son of Roman Ruler , but they were not overly pleased with his progress at Churchill. After time off, Rule was eventually returned to training with Todd Pletcher at Churchill and was entered in an allowance race there a couple of weeks ago. That race did not fill so Rule was sent down to Palm Meadows and will likely be pointed to the Jan. 8 Hal’s Hope (gr. III) at Gulfstream Park. WinStar’s fourth top older horse is 7-year-old homebred gelding Well Armed, who has not raced since August 2009. The 2009 Dubai World Cup (UAE-I) winner had a bone chip removed from his ankle in September of last year and spent much of his time recuperating in Texas. The son of Tiznow spent his last 30 days at WinStar and was recently shipped to California with trainer Eoin Harty. As hopeful as he is about their older horses, Walden is by no means writing off WinStar’s chances at another Triple Crown run. They have several good-looking 2-year-olds led by homebred Brethren, who is undefeated in two starts. The half brother to Super Saver recently won an allowance race at Churchill and was sent down to Pletcher at Palm Meadows to prepare for his sophomore campaign. WinStar is still high on Blue Laser despite being pulled up in the Nov. 20 Delta Jackpot after being taken out of the race during a three-horse accident on the far turn. Winner of the Grey Stakes (Can-III), Blue Laser has been returned to trainer Mark Casse to resume training. Walden is also hopeful about a pair of other 2-year-olds. Cal Nation, by Distorted Humor out of the A.P. Indy mare She’s a Winner, will make his debut for Pletcher in the near future, and Fire With Fire, also by Distorted Humor, was a fast-closing fourth when Brethren broke his maiden at Belmont in October. He will make his next start shortly.